Email askfuiping@gmail.com to purchase Lingzhi to improve your cholesterol level. Cholesterol is a waxy, fat-like substance that does not dissolve in water. It is present in every cell in our body. About 3/4 of the cholesterol in our body is produced by our liver and the balance 1/4 comes from the food we consume. 1) 60%-80% are LDL (Low Density Lipoprotein) - Carries cholesterol from liver to body cells where it is used in the membranes, to produce protective walls around your cells and create hormones. 2) 15%-20% are HDL (High Density Lipoprotein) - Carries cholesterol from cells back to liver, so the cholesterol can be eliminated in the bile. 3) 20% are Triglycerides - It's a highly concentrated source of energy and hence fuels the body. It mainly comes from the food we eat. Provides a protective barrier for cells for them to function normally so that they are not affected by external harsh environment. Vital for proper functioning of brain and nervous system. Protect brain cells and facilitate transmission of electrical impulses that govern thought, movement and sensation. Used by liver to synthesise bile, which breakdown and digest fats. Functions as a powerful anti-oxidant in the body and is protective of free radical damage to tissues. The cholesterol in our body "loses balance" when we lead a sedentary lifestyle, don't do sufficient exercise or regularly observe wrong dietary habits or suffer from certain diseases like diabetes. a) higher blood pressure. When our blood loses its fluidity and can't circulate smoothly, our heart needs to pump harder and results in higher blood pressure level. b) arteriosclerosis. When our blood vessels are clogged with lipids and fats, it will cause our blood vessels to be narrowed and may lead to coronary heart diseases like stroke or heart attacks. How do you know if your suffer from high cholesterol problem? Take a test to determine what is your cholesterol level. 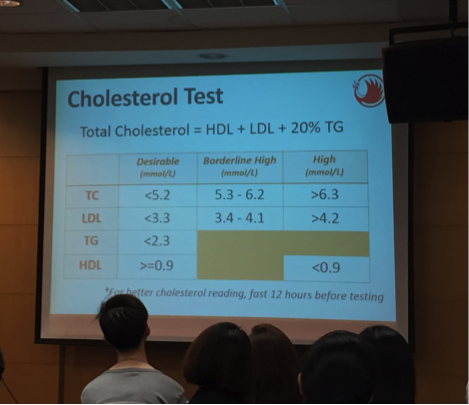 Don't just look at the Total cholesterol reading - it's important to analyse the proportion of LDL and HDL. Under what situation would medication be prescribed? Doctors would look at your cholesterol reading and also take into account your Lifestyle. Causes memory loss, short temper and aggressive behaviour. Causes muscle problem, kidney failure in more severe cases and death in rare cases. Pregnant ladies may give birth to malformed babies, with lower birth weight or pre-term birth. 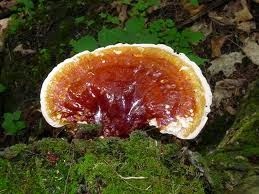 Knowing this, I would choose Shuang Hor Lingzhi / Ganoderma as a solution. Why? 1) It is Safe and free from toxins. 2) It is Effective and is an adaptogen. 3) It has received endorsements and accreditations from the Japan Health Food Association, Singapore Health Sciences Authority and Taiwan's Ministry of Health. How Does Lingzhi Help to Manage Cholesterol Level? In 1989, Japanese researchers found Lingzhi inhibit the formation and synthesis of cholesterol in liver cells. In 2004, Swiss researchers found that Lingzhi is able to reduce total cholesterol level by 20% and LDL level by up to 27%. In 2005, it was found that the efficacy of Lingzhi is due to a component called Triterpenoid. Lingzhi inhibits platelet aggregation by up to 32%. Thrombus is reduced by more than 30%. The size of thrombi is reduced. It gives you more energy, and makes you feel more alert and happy. It gives you a healthier cholesterol level. It helps reduce the medications you have to take. It delays the onset and reduces the risk of degenerative diseases. It gives you a leaner body composition. 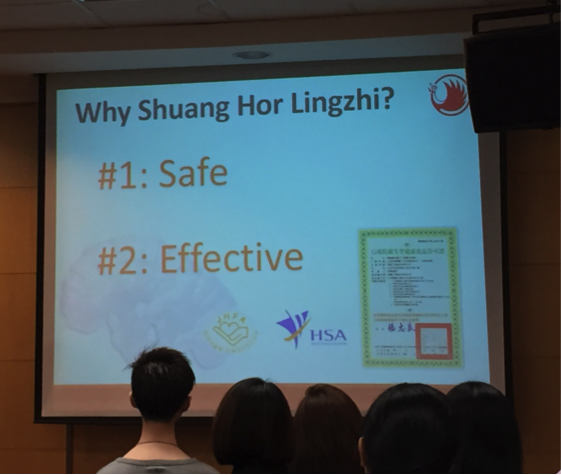 Please email me at askfuiping@gmail.com to purchase Shuang Hor Lingzhi to improve your cholesterol level. Click here to refer to Shuang Hor company website for Product Description and Price. I am an Authorised Distributor.